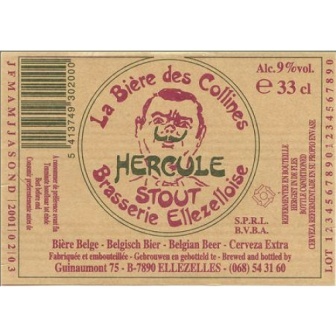 "The only self-proclaimed ‘Belgian stout’ – 9% by volume – named after famed Belgian detective Hercule Poirot, a native son of Ellezelles. 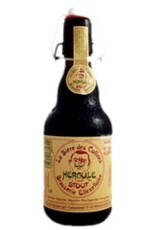 It’s every bit as sturdy and dapper as its namesake, and considered a World Classic. 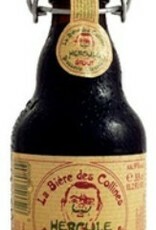 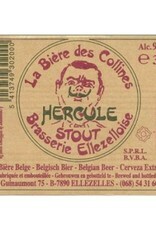 The Hercule, and all Ellezelloise beer, has a very distinctive and intoxicating spicy aroma of fresh spruce that suddenly, irresistibly, fills the room when the swing-top is released. 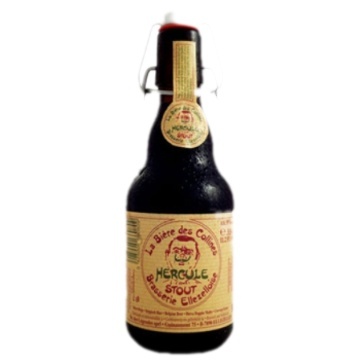 This unique house character probably derives from the strains of yeast used by the brewery – and possibly from the fermentation in oak – because the beers are made entirely of malt and hops, without any spices or sugar."